LAST NIGHT: (sorry about the fuzzy pics). Vee is surprised! Lili brought May to meet Vee. They chat and chat about all of May's travels. May asks Vee if they can have a sleepover. Lili knew they would end up being instant friends. Lili and Vee dream of the places May will see. I don't know if a man is allowed to use an expression like this, but I think this is so 'darn cute' Your pictures radiates happiness and warmth. ooohhh Bo...Thank you sooo much! Coming from a man who appreciates happiness and warmth makes me even happier!!! I really love how your girls bonded with May. dal, I saw your flickr and I just wanted to say wow!! I love how you took your photos from the time she arrived, getting acquainted with the girls, the sleep over, shopping etc. and esp. how you described your photos. May will definitely have a lot to tell Loogie. Oh you are too kind! 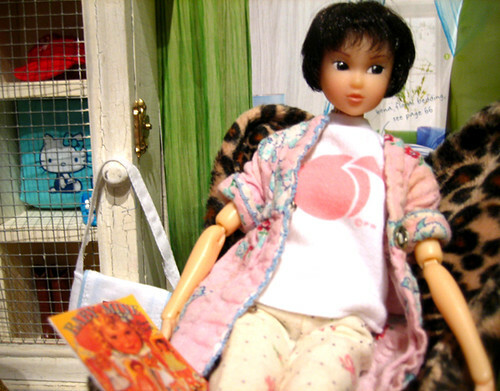 I loved the thought of a travel doll and wanted to do my best. Thanks sooo much! 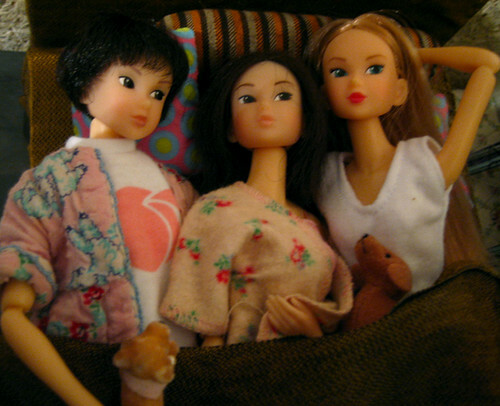 Wow everydoll looks so friendly, and it looks very comfy there! Awesome shots! You did a wonderful job of hosting the traveling girl, May. May reminded me a project my daughter did a few years ago with her paper doll named Hillary Flat. 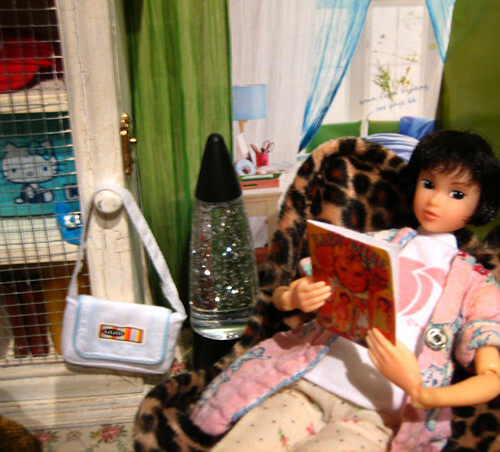 She used to carry the doll every where she goes and wrote stories about the places they had visited together. May inspired me to join and meet all wonderful people in this forum. I love to read about her adventure and hope someday I can host May here in my home town of Greater Washington, D.C area. May reminded me a project my daughter did a few years ago with her paper doll named Hillary Flat. She used to carry the doll every where she goes and wrote stories about the places they had visited together. That is so cute! My daughter (aged almost 16) helped me with the sleepover shots BUT she didn't want me to post that she did...(too old or something). LOL. Your girls have a wonderful apartment too! oh yes Nightfall...doll shows are amazing. The trick is to leave the checkbook AND the credit cards home. Only bring what you are willing o spend and a good friend you can BEG from! 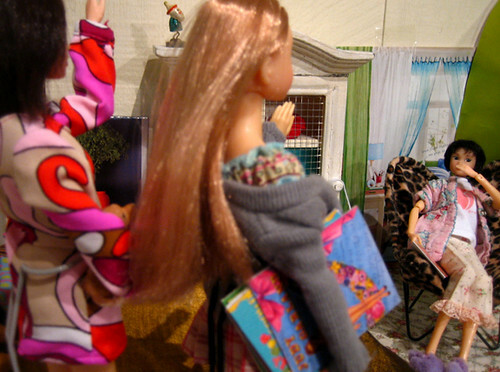 BTW: You'e in Boston...Little Drummer Boys has doll and toy shows up your way. They used to be in Dedham, Mass, now they have them closer to Boston. If you want to go to the next one I might be tempted to meet you! Can you say DOLL DAY? Hi Dal, the doll show sounds so much fun. I would not be able to survive without bring a checkbook or Credit Card! 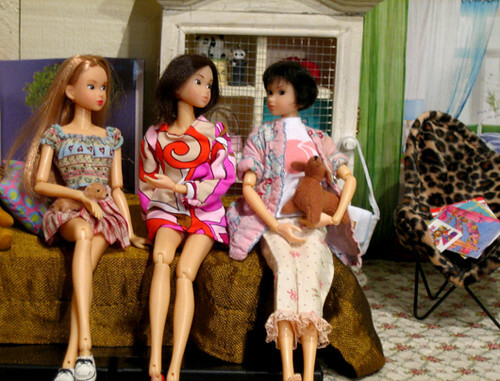 Are there any doll shows in the Washington DC area? BTW, I just PMÃ¢â‚¬â„¢ed you about the New York trip. 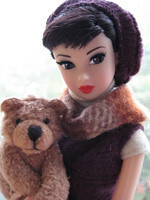 Not that I know of Teddybear....there might be a way to do a search on DOLL ,TOY & Teddy Bear Shows on Google. I found a miniatures show once.